There is no better way to discover your Romanian roots than to travel to the home country of your parents or grandparents. Nothing can substitute the feeling you have while you walk on the same streets your grandparents walked, while you see the house where they grew or hear the story of your family from an elderly relative. 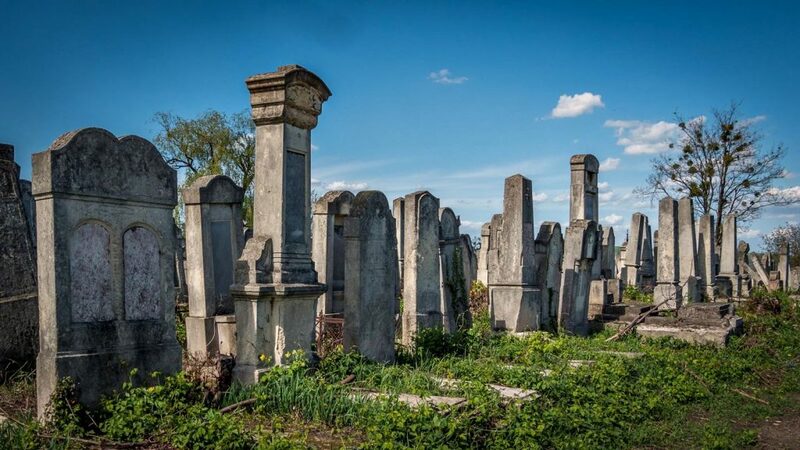 But a private genealogy tour in Romania involves more than just a visit to certain places. The process of finding information about your ancestors can take weeks or even months and, in order to make the most of the trip, it is better if you know beforehand the exact details you are looking for and where to find them. Besides this, the town of your ancestors might be outside the touristic route, therefore, a person who knows very well the country might be of real help. If you are willing to start the adventure of finding your Romanian roots but you don’t know how to do it or from where to start, or simply you need help from a specialized person who knows very well the country, we are here to help. We can guide you through the process of information research, assist you during the whole research process which starts before your visit to Romania and ends when you return home or even later, give you advice on where to go and search for the information you need and provide specialized guiding services while you visit the country. Or do all those things for you. As learning about your roots means also learning about the culture of the homeland and if it is of interest, we can plan for you a private genealogy tour in Romania which can combine visits to Romania’s most beautiful sights with visits to places of personal interest. During the years we helped people with different backgrounds find their roots and planned tours with focus on genealogy and below you can see some examples. They might inspire you in your personal search of your Romanian ancestry. The tour we will plan for you will be will be tailor-made, therefore, you will be able to customize the tour according to your own interests and preferences. 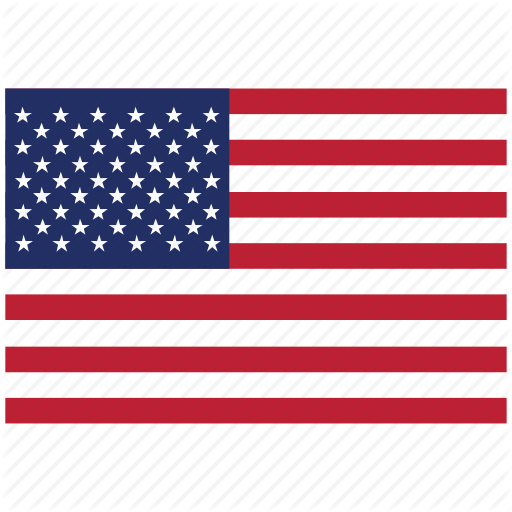 They were picked up from Budapest and traveled to Semlac (Arad county), the village where the grandparents of German descent lived before immigrating to the USA. We walked around the village, visited the church of the village, looked into the archives at the town hall, visited the cemetery to identify family names and tried to find alive relatives and meet with them. As a result, we found the genealogy tree until early 1800s and later on we found also the place of the house (further research was needed as street names and numbers changed). Diana together with her family came to Romania to reconnect with the memory of her father by traveling to the town where he was born. We visited the town of Aninoasa (Hunedoara county) and we searched for the house where he lived and tried to find birth, marriage and school records. We visited the town hall of the village, the cemetery and the old Catholic church. We were able to identify the birth dates of the family members and locate the mine where some of the family members worked. In addition, some elders from the town introduced us to the life of people from this area in the 20th century. We also visited the church from Petrosani, where the grandparents were married and the school where Diana`s father went, in the town of Alba-Iulia. Diana combined the genealogy tour with visits to some touristic sites, such as Sighisoara medieval citadel, Hunedoara castle, Sibiu town and Bran castle. 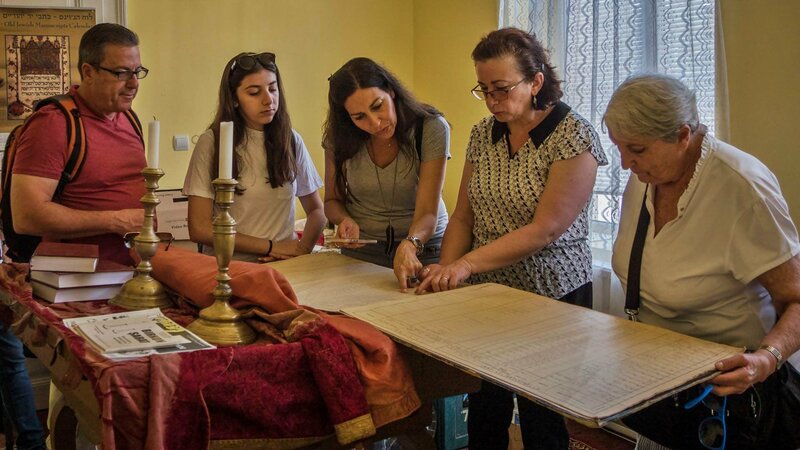 The genealogy trip in Romania was for the three sisters “a life long dream” as they were longing to see the place where their grandparents were born and lived before moving to the USA. Therefore, they had a tour through Romania in order to visit the villages of Halmagel, a remote village in the Apuseni mountains, where the grandfather lived, and Mandra, the village of the grandmother, not far from the town of Brasov. With the research made before the visit, we managed to find distant relatives and meet with them. Besides this, we found relatives the sisters have never known about and spent some time with each one of them. The whole experience made Andrea and her sisters “travel back time” to when their grandparents lived on these lands. The group also traveled to beautiful sights from Transylvania and Bucharest area, such as Sibiu, Viscri, Sighisoara, Brasov and Sinaia. Daughter of Romanian parents with Jewish ethnicity, Michal decided it is time to learn more about her family history. First she convinced her Romanian born mother to come back to Romania after almost 60 years. Then, she planned a tour to Romania and also brought with them her brother, daughters and partner. Before the actual visit she gathered as much information as she could from her living siblings and once she was in the country we traveled from Bucharest to Budapest, passing through the towns where she had personal interest in: Alba-Iulia, Hateg and Timisoara. 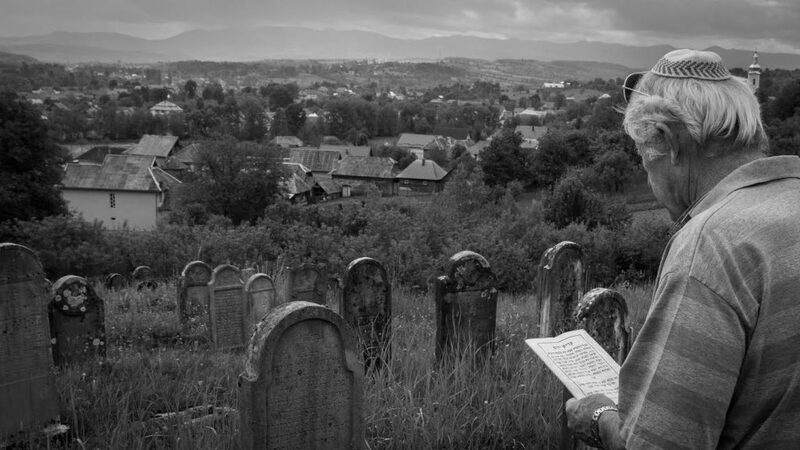 In order to find information, we visited synagogues, Jewish community centers and cemeteries and we managed to find the seating in synagogue, birth and death certificates and the location of grandparents’ graves in the Jewish cemetery. 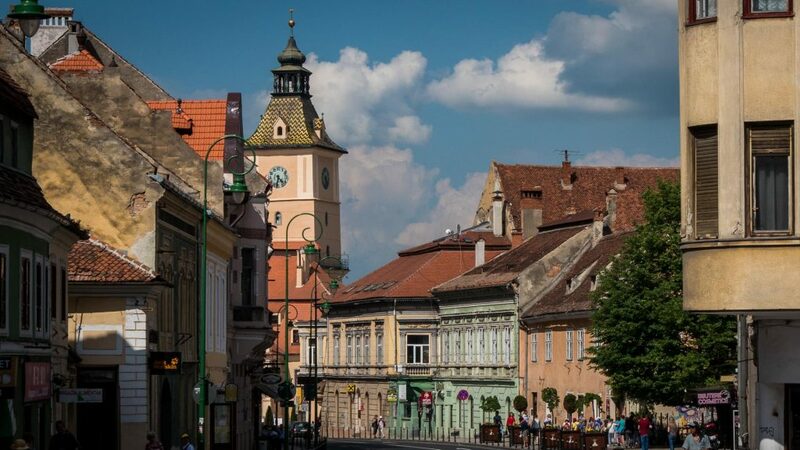 Along the trip, we stopped at several other touristic locations and we were introduced to other heritages belonging to different ethnicities, such as the Hungarian heritage at the base of Apuseni mountains or the German-Saxon heritage in the towns of Brasov and Sighisoara. A tour for a family of 5 from Israel, parents and 3 adult children. The father was born in the 50s in Berbesti, Maramures from where he left when we has 3 and now wanted to bring his children to see his birthplace. 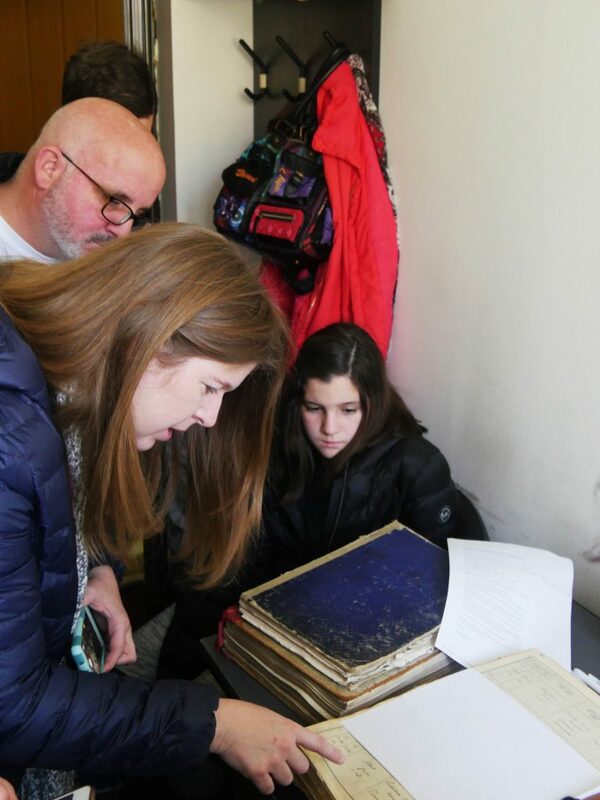 A tour for a Holocaust survivor whose daughter wanted to see where her mother was born and lived her first 14 years before she moved to Israel and then to the US. And the examples can continue. We have provided the above examples to showcase the kind of tours and services we can provide. No matter what your story is, if you long to understand from where are you coming, find out your family history or simply build your family tree, we can help you in planning a private genealogy tour in Romania and experience on your own the country of your Romanian ancestors. If you want to benefit of our services, please email us and tell us about your story and what you wish to accomplish. We will then work on a tailor-made proposal which can include researching and a back-to-the-roots tour. 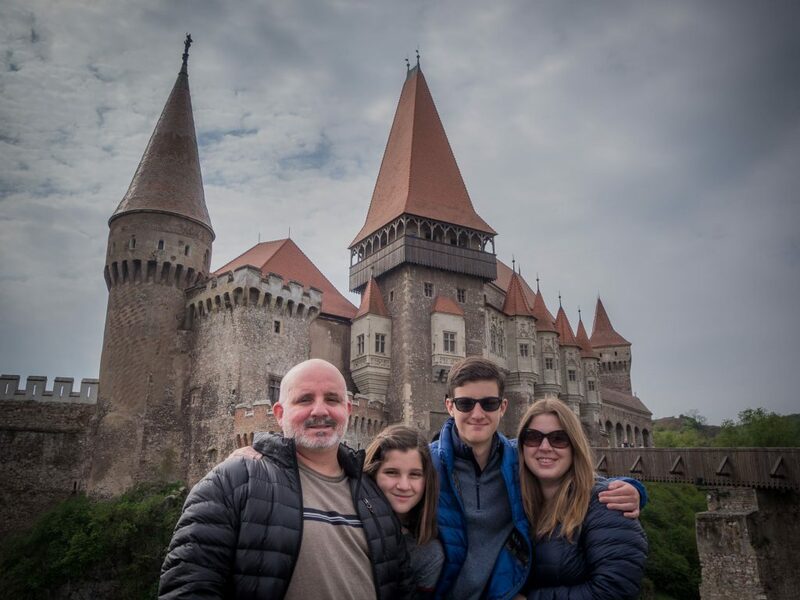 We just returned from a family roots trip throughout Transylvania, following our family’s historic journey. We contacted Daniel a few months prior to the trip, and worked closely with him on our list of towns. Daniel was the most courteous and provided us with information. Once we arrived in Romania, Daniel worked diligently to make sure we were fulfilled by our visits to every location. At times our itinerary changed due to an interest in visiting a synagogue or cemetery, and Daniel was perfectly accommodating. Daniel went above and beyond in all ways possible. He provided transportation, translation, research, historical background, appointment setting at the town hall, and even knocked on doors of residents. Daniel was eager to participate in the search and he found a jackpot of information held by the local self-appointed town historian, who then invited us into his home to share information and homemade palinka! Thank you, Daniel, for making the most of my trip. It was meaningful and life transforming.